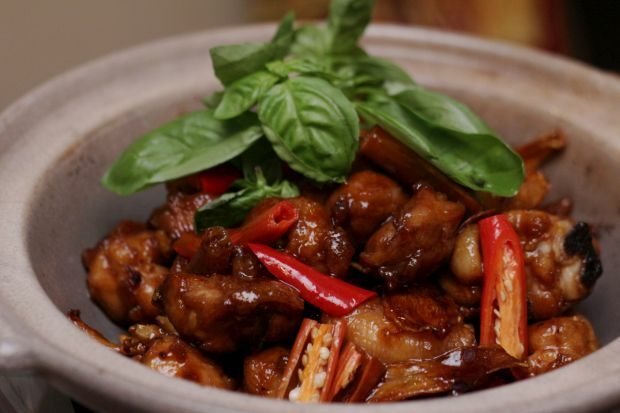 TASTY Taiwanese food will greet guests at the Prince Hotel and Residence Kuala Lumpur’s Chinese Restaurant Tai Zi Heen this month. To ensure the success of this promotion, the hotel has flown in Chef Su Nien Wang, the Chinese executive chef from the Taipei Garden Hotel, Taiwan. Wang has cooked up a variety of traditional Taiwanese dishes that is set to leave diners wanting more. Members of the media were recently given a preview of the delectable dishes from the country with seas and mountain plains. First on the menu for the day was the Poached Squid with Five Spice Sauce. This dish is fairly common in Taiwan and what makes it special is the special five-spice sauce. “The sauce is made from chillies, garlic, ginger, onions, celery with sugar, soya sauce and tomato sauce. The sauce acts as an appetiser that incites the diner’s palate,” said Wang. 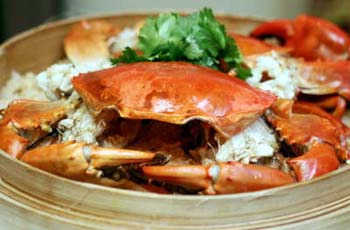 Flavourful: Crab lovers will enjoy the steamed glutinous rice topped with crab meat. Most Malaysian’s might not find the sauce spicy enough but it definitely entices the diner to try more since it is flavourful. A unique dish with a unique name was presented next called the Traditional Three-Cup Chicken braised with stock, black sesame oil and thick soy sauce. The name stems from the three main ingredients that are measured equally and make up the main ingredients of the dish. One would be the sesame oil from Taiwan that is rich, thick and almost black in colour, the second would be rice wine that adds a nice tangy flavour and third would be the soy sauce that is both sweet and salty but it is almost like oyster sauce. The chicken will be braised with ginger to bring out the flavour. Sweet and sour: For dessert, the famous delicacy that is synonymous with the country, the Pineapple cake. Crab lovers will enjoy the steamed glutinous rice topped with crab meat, a seaside dish that was first popular with new mothers. The crab is steamed with the glutinous rice to infuse the crab flavours with the rice. Next on the table was the Stir-Fried Shark’s Fin with egg a dish that is also a common Cantonese cuisine. The fine threads of Shark’ Fin meat is paired ideally with the scrambled egg that is fried to perfection. 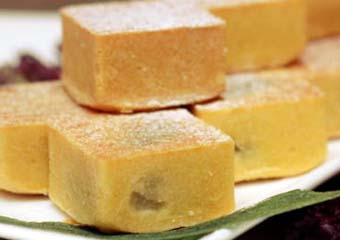 For dessert, the chef from Taiwan presented a famous delicacy that is synonymous with the country, the pineapple cake. Unlike the factory-made cakes that are readily available there, the chefs laboured tirelessly to make this confection. Taiwan pineapples are sour and a little hard. To ensure that the cake is sweet and edible, malt sugar is blended with the pineapple before pan frying it for over five hours to produce the thick paste that is later added into the pastry crust that is made from a variety of ingredients including flour, icing sugar and milk. Besides these dishes, diners can select from an array of ala carte selections as well as set menus to feast upon with family members. The promotion is until Nov 30 and the set menu is priced from RM78nett to RM88nett. It is available for both lunch and dinner.